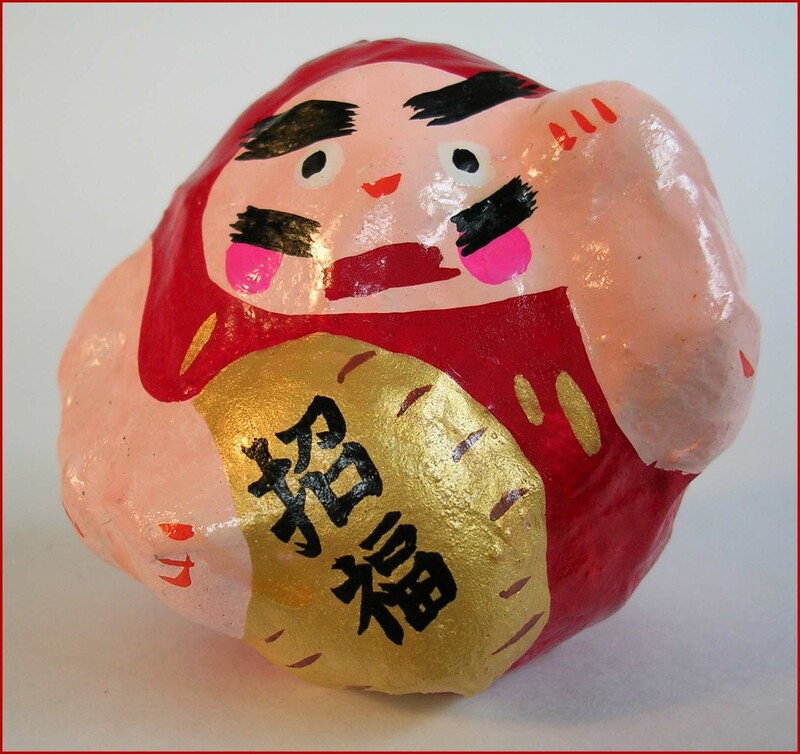 This is a papermachee doll of the God of Good Luck, Ebisu , with his fish on the belly and a special hat. 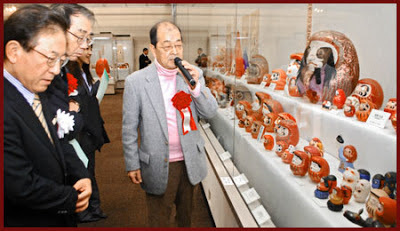 He is a good luck symbol, together with his friend Daikoku. We will meet them elsewhere. In this papermachee version, the dolls are called "Ebisu Daruma". Click on all the buttons on the left side to go to the provinces. 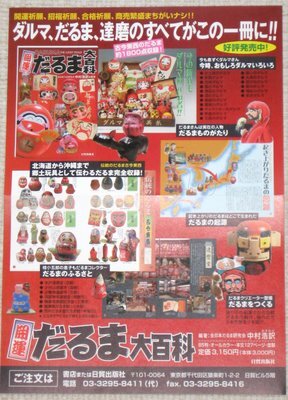 Then click on the small Daruma images to see the bigger ones. 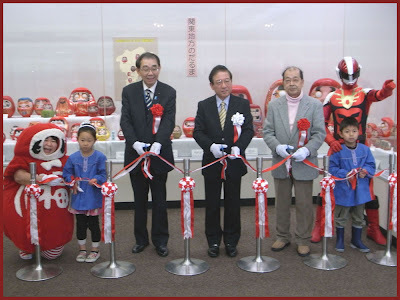 This is a very detailed collection of papaermachee Daruma dolls from all over Japan. Nakamura san had a great exhibition of his collection in 2004.